EW YORK: Facebook's chief executive Mark Zuckerberg has urged nearly 1.5 billion users on the platform to celebrate the social networking giant's 12th anniversary on 4th February as friendship day. 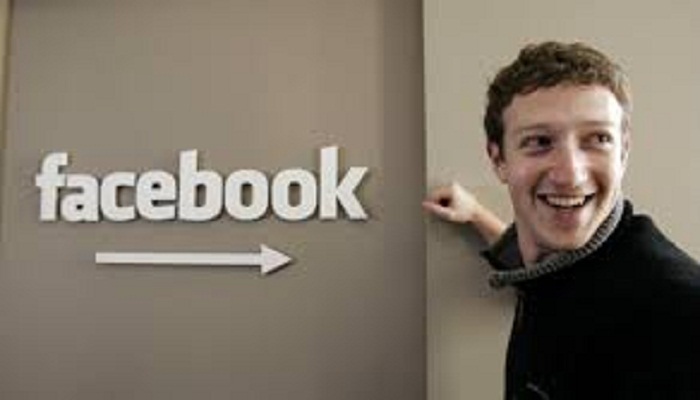 Zuckerberg who wrote the first code for Facebook in January, 2004, in a hope to help students at his college connect and bring the community together, is overwhelmed as millions of people around the world today use Facebook to stay connected with friends and loved ones. "On February 4, I hope you'll join me in celebrating#friendsday -- a moment to celebrate the friendships that have made a difference in your life," the 31-year-old billionaire wrote in a Facebook post on Tuesday. "If you have a story about friendship, I'd love to hear it. Please share and I'll read as many of them as I can!" he added. According to Zuckerberg, the acts of friendship, love and kindness we all share on Facebook are changing the world every day in ways we can't fully measure. "Sometimes they just make people in our lives feel a bit more loved. Sometimes friendship becomes a force that sets us on a different path in life. Sometimes friendship moves the world," he posted. In 2016, Zuckerberg wants to focus on Artificial Intelligence (AI) and is even thinking of a simple AI to run his home and workplace like the famous Jarvis character in the Hollywood movie 'Iron Man'. 'My personal challenge for 2016 is to build a simple AI to run my home and help me with my work. You can think of it kind of like Jarvis in Iron Man,' he posted earlier. "I am going to start by exploring what technology is already out there. Then I'll start teaching it to understand my voice to control everything in our home -- music, lights, temperature and so on. I'll teach it to let friends in by looking at their faces when they ring the doorbell," the 31-year-old billionaire posted. "I will teach it to let me know if anything is going on in Max's (his daughter) room that I need to check on when I'm not with her. On the work side, it'll help me visualise data in VR (virtual reality) to help me build better services and lead my organisations more effectively," he further wrote.